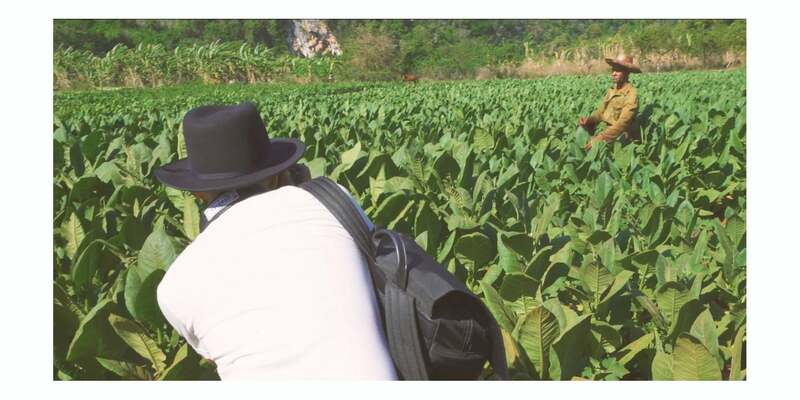 In Episode 6 of Through The Lens Cuba, the team hikes to a tobacco farm with the help of tour guide Yaniel Luis Alvarez. The TTL team had a special opportunity to observe and meet the workers on the farm which grows one of Cuba's most famous crops. For the members of the Alpha Imaging Collective who got to meet the farmers and learn more about how they live, it was a humbling experience and one that yielded powerful photographs. Andy To describes how a man working barefoot at high noon was barely breaking a sweat despite the heat and had a smile on his face the whole time. The team was surprised to learn that the workers only get to keep 10% of the profits from the harvest and the government gets the rest. "It really made you appreciate the hard work they were putting in," says To. Collective member, Dave Krugman, also discusses his longtime passion for the visual world. A Brooklyn-based photographer who got into the Sony system in part because it allows him to use a family cache of rare and vintage lenses, he loves how photography turns every day into a visual puzzle he gets to solve. New episodes of TTL Cuba come out every Friday. You can find the show on the AdoramaTV channel on YouTube and on the Through The Lens website. Join members of the TTL Cuba cast for a NYC Street Photography Photowalk beginning at Northwest corner of Washington Square Park and ending at the Adorama store to view the finale episode of TTL Cuba and participate in a Q&A with cast members. Also there will be chance to win an ONA bag! Click here for details and to sign up.